The majority of Brits would vote to remain in the EU if another referendum were held next week. A major UK-wide survey of more than 200,000 people revealed that a significant majority want the UK to stay in the European single market and believe Britain will be economically worse off outside the EU. The findings come as Prime Minister Theresa May faces growing pressure to concede on her so-called Brexit “red lines” of leaving the single market and customs union. Almost 220,000 readers of titles belonging to publishing groups Johnston Press, Trinity Mirror and Newsquest were surveyed in the study, which revealed significant trepidation in relation to the Brexit process. The survey found that across the UK, 52 per cent of respondents believe Britain would be economically better off inside the EU, with 56 per cent calling for a “soft Brexit” inside the single market – including more than a fifth of Leave voters. 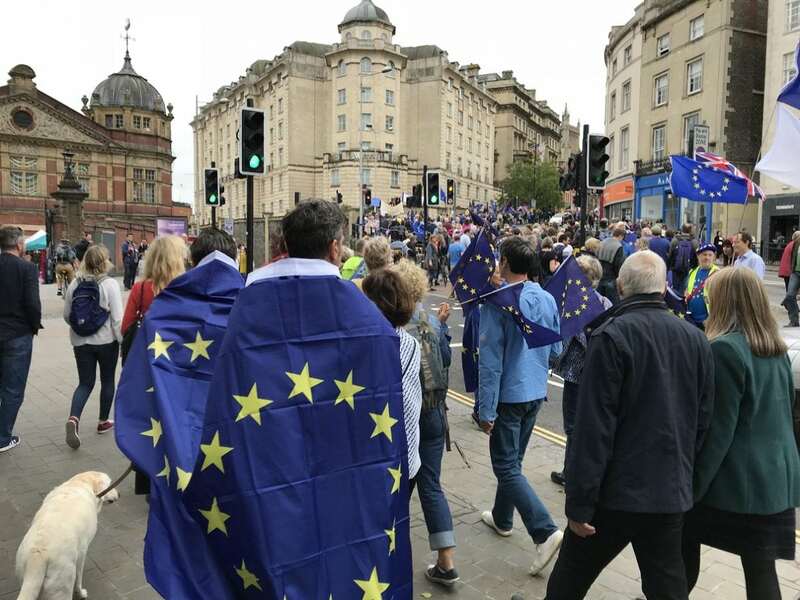 Leave voters are twice as likely to have changed their mind since the 2016 EU referendum, giving pro-EU campaigners a boost in the event of a second referendum on the terms of the UK’s Brexit deal. The survey suggests the Remain side would win by 51 per cent to 49 per cent once “don’t knows” are removed, overturning the result from 2016. King’s College research last week revealed the UK’s public purse will be £615 million lighter a week under the government’s preferred Brexit scenario. Even if the government gets its preferred option of a “bespoke deal” that would mean about £40 billion more in annual public borrowing than under the status quo by 2033/34. That equates to £615m per week, or 22 per cent of the NHS budget, after translating that into today’s prices, the research claims. So Leave are doing better now than they did in the opinion polls immediately preceding the 2016 referendum.